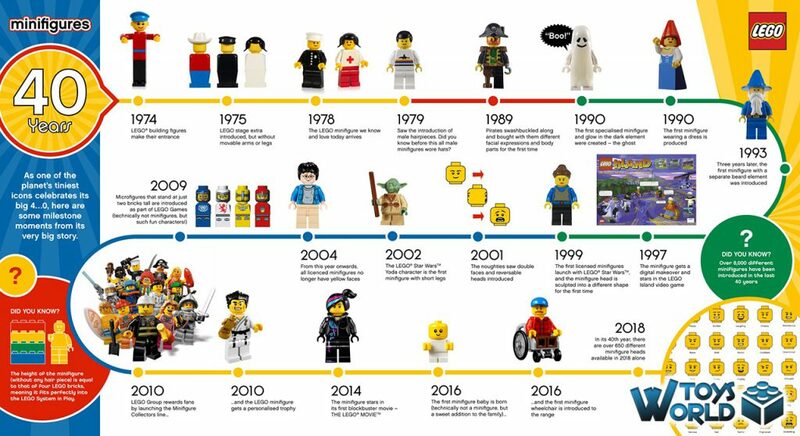 Today marks a special day in the LEGO calendar as it celebrates the 40th anniversary since the very first LEGO Minifigure was released. Back in 1978, LEGO released their Castle, Space and Town sets, and bundled with them were the first Minifigures. The facial expressions were simple; composing of two black dots for eyes and a simple black smile. I actually remember my first LEGO Minifigure, which I got in 1984 when I was just 4 years old. It was a red astronaut (pictured-right) and came with the Tri-Star Voyager set . He has since lost his red helmet, but is a treasured figure, all the same! It woulnd’t be until 11 years later in 1989 with the release of the Pirates sets that we started to get different facial expressions and features. In 2003, LEGO introduced realistic skin tones (instead of the standard yellow), as part of the LEGO Basketball theme. We also got the first black LEGO Minifigure in the form of Star Wars‘ Lando Calrissian. By 2006 it was reported that LEGO had made over 4 billion Minifigures. 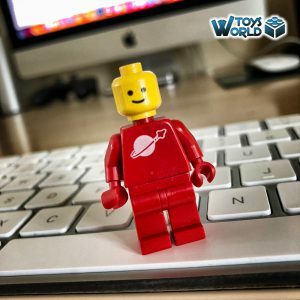 It is believed that by 2019, LEGO Minifigures will have outnumbered humans! Passing onto the next generation! 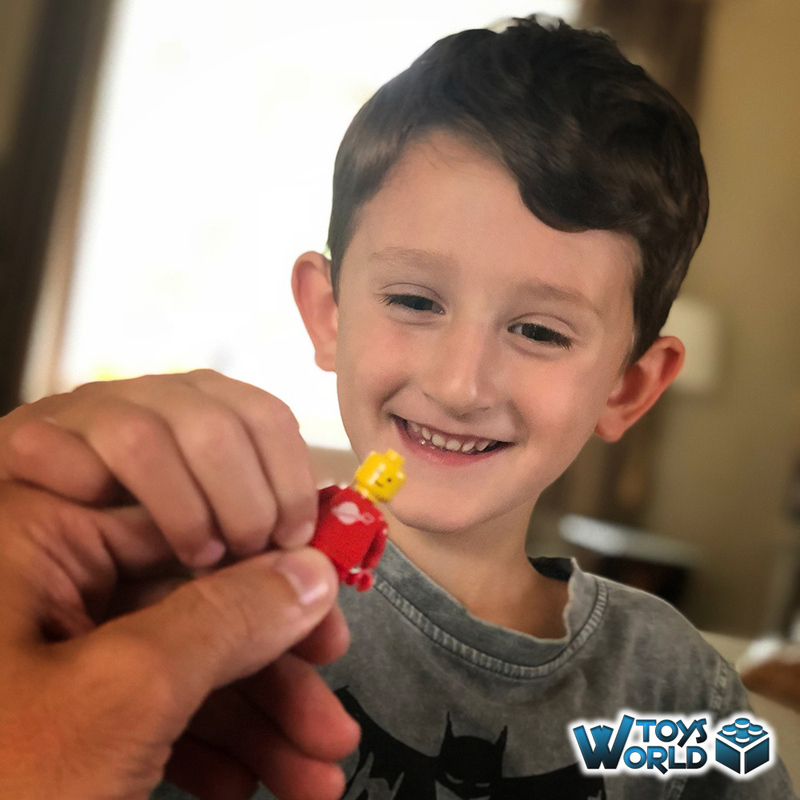 Today also happened to be a good opportunity for me to pass on my original red astronaut Minifigure to my own son (Jacob) who also happens to be 4-years-old. When I told him the story behind it, and that I was passing it onto him, he was over the moon, and promised to look after him. You can see just how thrilled he was to receive it (pictured-left)! It’s amazing to think that the humble Minifigure has made such an impact on LEGO (and its consumers), that we simply cannot imagine a set without at least one included. 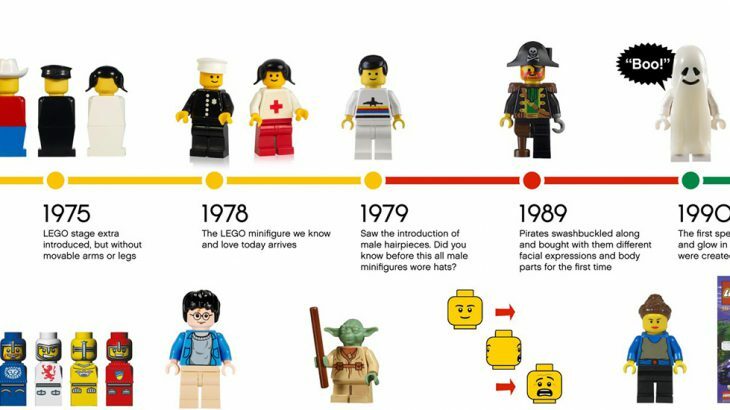 So join us as we celebrate 40 years of the Minifigure and let us know what your favourite figure is (to date) in the comments below! LEGO, News & Features 1978, LEGO, LEGO Minifigure, LEGO Minifigures, Tri-Star Voyager. permalink. Hi folks – great article! My favourite mini-figure has to be the Buzz Lightyear figure from the lego mini-figures, Disney range. He has pride and place on my mantlepiece!